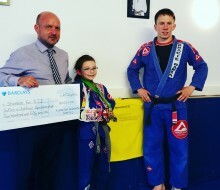 A local businessman has helped a young girl take the next step on her sporting career Shannon Williams (aged 9) from Sutton in Ashfield was recently given the surprise of her life when a businessman decided to sponsor her with £250 towards her Brazilian Jiu Jitsu training. 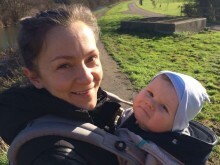 Neil Lack of Alfreton Insurance Services made the gesture because he could see the future potential of the young star. 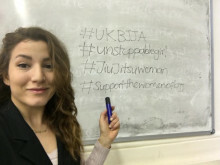 The UKBJJA is launching a major campaign called “Unstoppable Girl” to get more women involved in the martial art of Brazilian Jiu Jitsu. 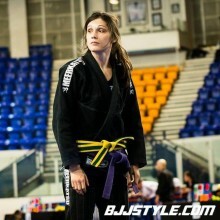 Meet female BJJ athlete, blue belt, Firefighter and Unstoppable Girl, Tracy Doyle. 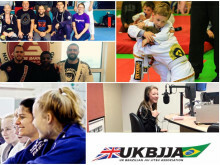 One of the UKBJJA's member clubs, Bristol-based Artemis BJJ, will be hosting a great event on March 26 and March 27 to support charity, using BJJ to help the community. 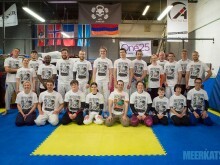 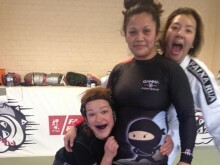 Artemis are holding a 24 hour GrappleThon to raise funds for a great organisation, One25, who support vulnerable women. 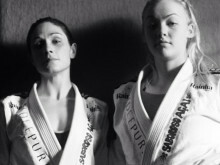 Individuals will be coming from around the country to take part in this project and grapple the night away. 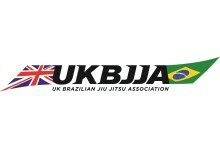 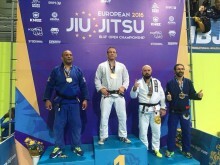 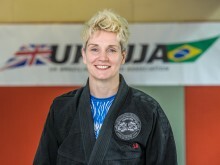 The UKBJJA (UK Brazilian Jiu Jitsu Association) today made clear its intentions to defend the integrity of Brazilian Jiu Jitsu as a distinct martial art and to challenge the moves by the BJA (British Judo Association) to set up a rival body to govern the sport through a subsidiary organisation, the BJJUKA (Brazilian Jiu Jitsu UK Association). 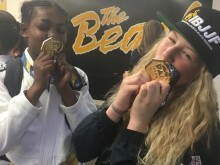 A talented youngster from Beckenham, Nia Blackman took home gold this weekend at the IBJJF Kids Pan Ams, the biggest junior BJJ (Brazilian Jiu Jitsu) tournament for juniors in the world. 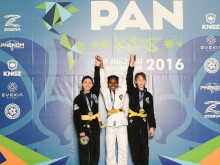 In the Walter Pyramid in Long Beach California, Nia, who is one of the top junior yellow belts in the sport in the UKBJJA rankings and trains at New School BJJ Battesea, saw off the opposition in style to win. 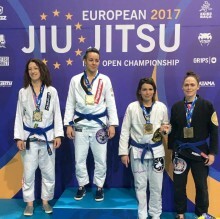 Dali Hopkins from Hereford, who is a grey belt in BJJ (Brazilian Jiu Jitsu) and who was named as the UKBJJA’s top junior of 2015, defended her title as Pan American champion at the biggest junior competition in the world, winning gold on her birthday. 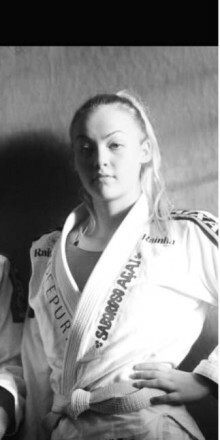 Top ranked UKBJJA junior athlete Dali Hopkins is on her way to America to fight her way to the top of the podium in the Pan Kids Jiu-Jitsu IBJJF Championship. 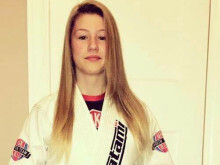 Dali Hopkins became the star of the BJJ kids scene last year, becoming the top ranked UKBJJA junior across all belts, ages and weights and is now on her way to California to compete in the biggest junior BJJ competition in the world.